When it comes to gathering statistics on web sites, you can never have enough. While one of the most popular method for tracking statistics is through services such as Google Analytics, log file analysis remains a reliable way to track your visitors as they are immune to script blockers. 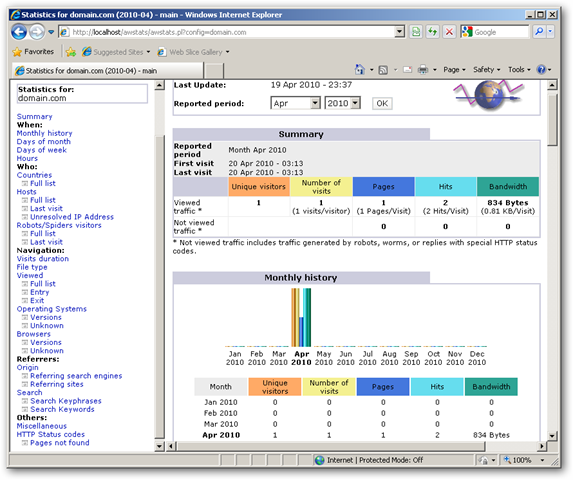 A widely used tool for log file analysis is the open source tool, AWStats. 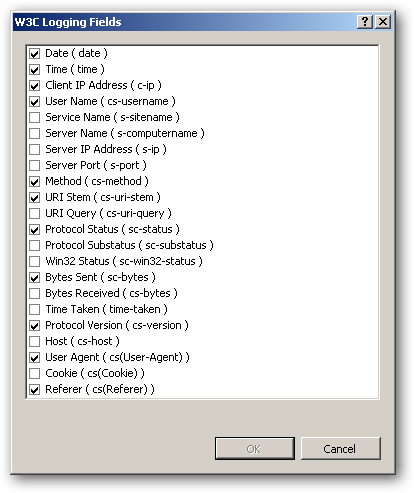 Before setting up AWStats, you will need to make sure Perl installed on your Windows Server 2003/IIS 6 or Windows Server 2008/IIS 7 machine. To configure logging in IIS 6, open IIS Manager and right click on the Web Sites folder and select Properties. 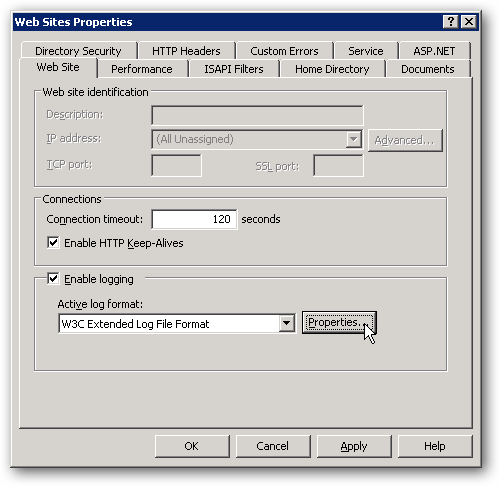 On the Web Site tab, click the Properties button in the Enable logging section. 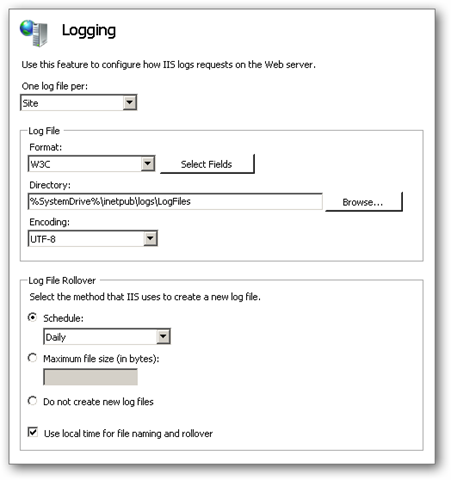 In the Logging Properties, configure the schedule to be daily with local time used for file naming and rollover. 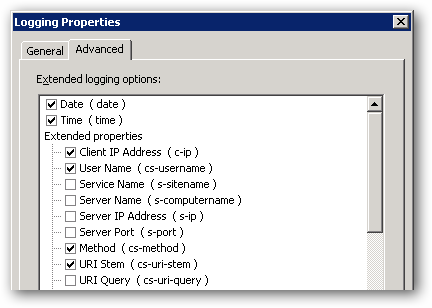 On the Advanced tab, configure the required fields to be logged. 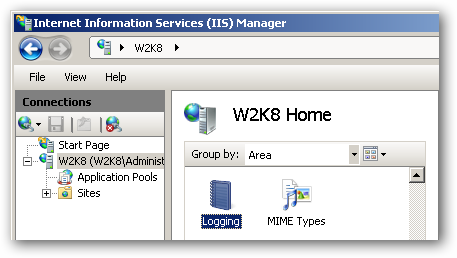 To configure logging in IIS 7, open IIS Manager and select Logging from the server configuration options. 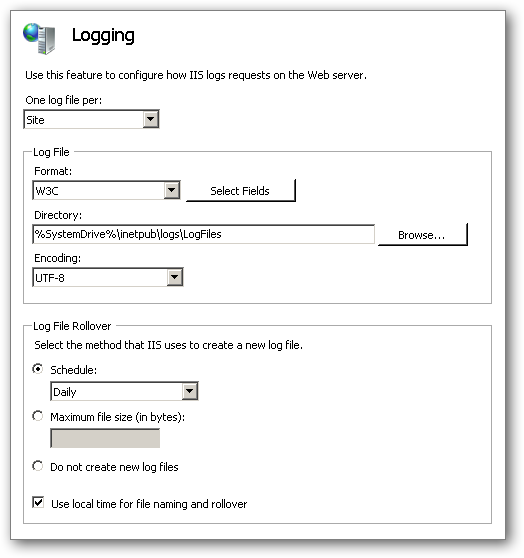 In the Logging configuration, set up a single log file per site which rolls over daily using the local time for file naming. Click the Select Fields button and check the boxes next to the required fields. 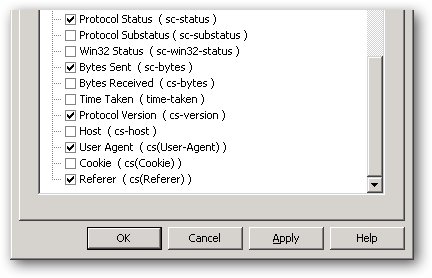 Once the files are extracted, copy the “awstats.model.conf” file to a file named “awstats.domain.com.conf” (where domain.com is the site to track), open it in Notepad and configure the options as needed. 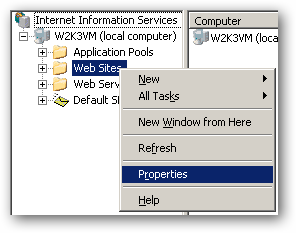 You can find the IIS ID by looking at the master site listing in IIS Manager and noting the value in the ID column next to the respective site. The folder “C:inetpubwwwrootawstats” serves the stats through IIS. Perl was installed to the “C:Perl” directory. The config file is named “awstats.domain.com.conf”. 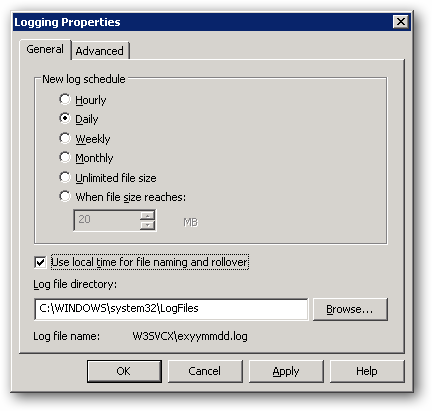 One of the configurations we set in the config file is the ‘LogFile’ location which defines the amount of hours to subtract from the date portions of the file. So to automate the process of compiling your stats, set up a Windows Scheduled Task which runs the command you used above to build the stats on the interval you configured.